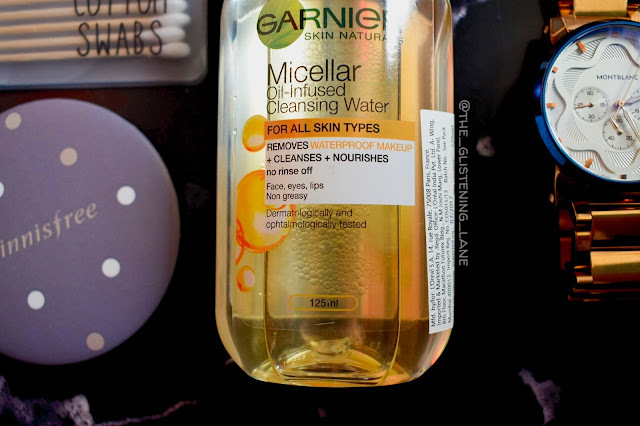 Micellar water is an amalgamation of micelles and soft water. Micelles inhibit cleansing oil molecules and it takes off all the dirt and makeup off your face. 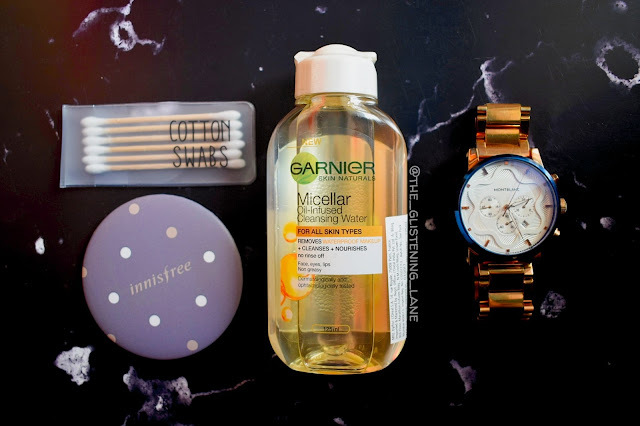 Micellar water is regarded as gentle onto the skin, hence it is recommended for sensitive and dry skin people. It helps in removing makeup, cleaning and hydrating the skin. 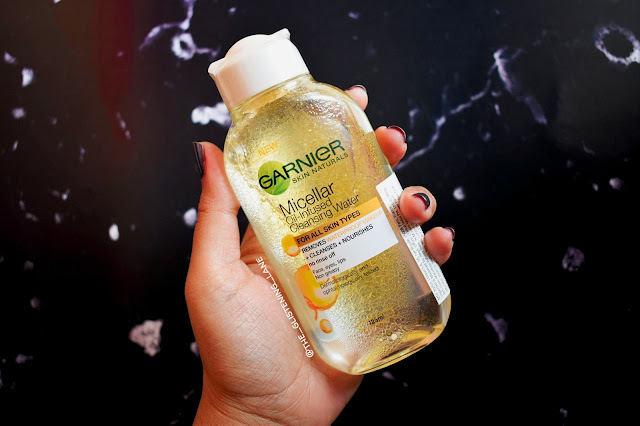 Now that you have a rough idea about what micellar water is, you must be inquisitive about which variant to pick from the Garnier’s new launch. 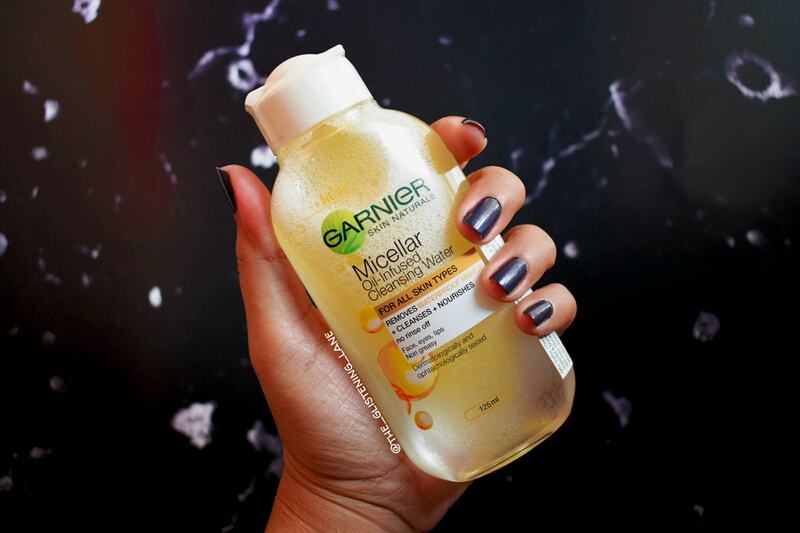 First Oil Infused Micellar Cleansing Water, powerful at removing makeup, even waterproof yet surprisingly gentle on skin. For the first time, Garnier combined its Micellar Technology with nourishing Argan Oil. The Micelles capture and lift away residue like a magnet, while the oils dissolve traces of makeup and nourishes skin. 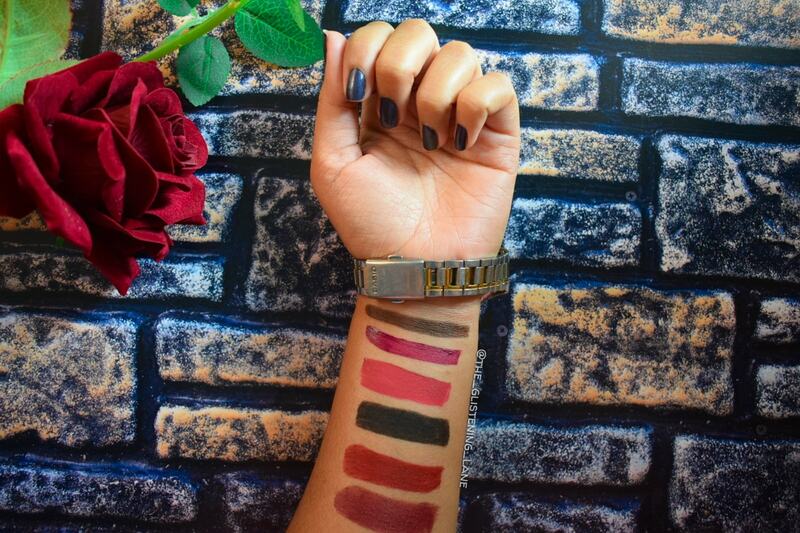 Skin is perfectly clean, nourished and comfortable. Shake well before use. 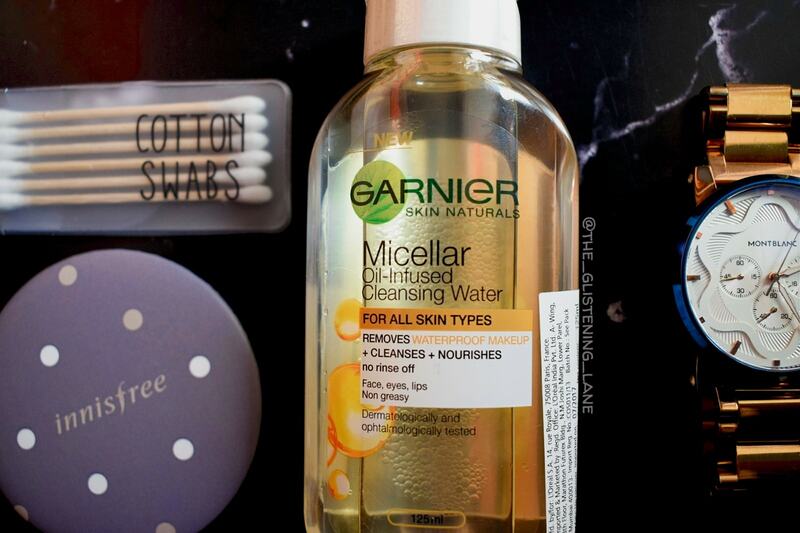 Apply onto face, eyes and lips with some cotton pads without rubbing. No rinsing needed. 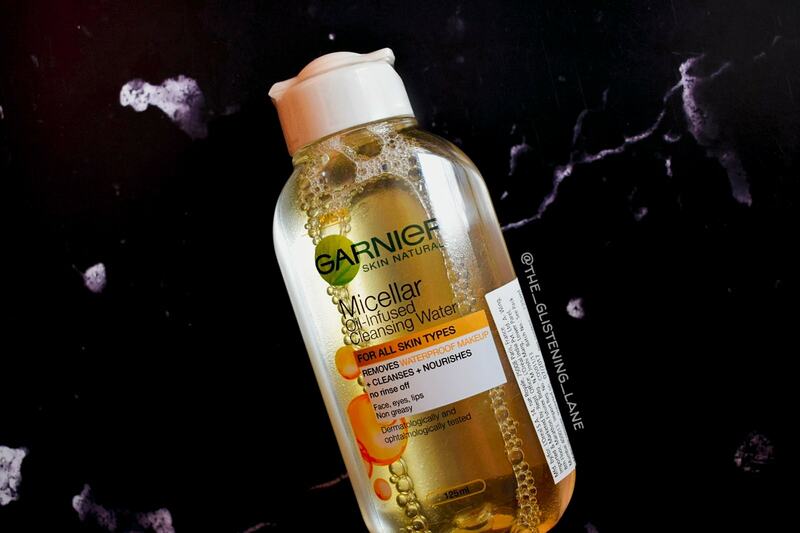 The Garnier Micellar Oil Infused Cleansing water comes in a transparent bottle through which you can easily view the amount of content that’s left. Plastic bottle makes it travel friendly and break proof. I intentionally bought the small packaging so that it can fit into compact spaces of my hand bag and travelling suitcases. It has a flip top open lid via which the required content can be poured out. 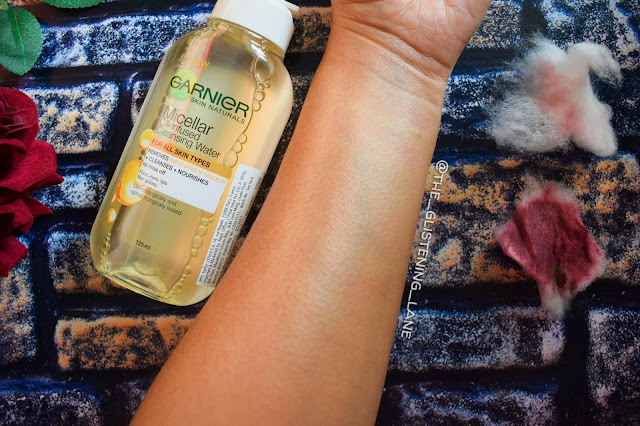 So now is the time to share what all I read about this product and what was my take onto it. When I first tried it, I noticed it had a strong fragrance. 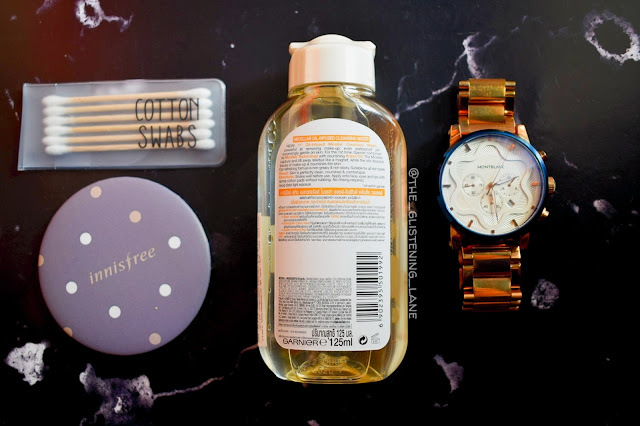 I’ve also read sometime back that it is better to avoid anything on face which has perfumes within it, especially if you have a sensitive skin. The fragrance has floral touch to it and it’s quite pleasant. I poured a little quantity of the solution after shaking the bottle and it did remove my makeup easily. But when it was working on my liquid lipstick, it made the lipstick colour go haywire on my facial skin. I had a subtle makeup of eyeshadow crayon, foundation, kajal and a liquid lipstick. But to wipe up the liquid lipstick mess, it took me two cotton pads. For me personally, that’s a hassle! 😅😅 I would probably go wash my face instead of wiping it with cotton; but then it’s my personal preference. Had I done a heavy eye makeup, no doubt it would have removed it too, but with a lot of cotton pads; must be three, I think. If you are wondering if it’s safe for the eyes, then let me tell you yes it did not hurt my eyes. But I was super careful about the area around my eyes. 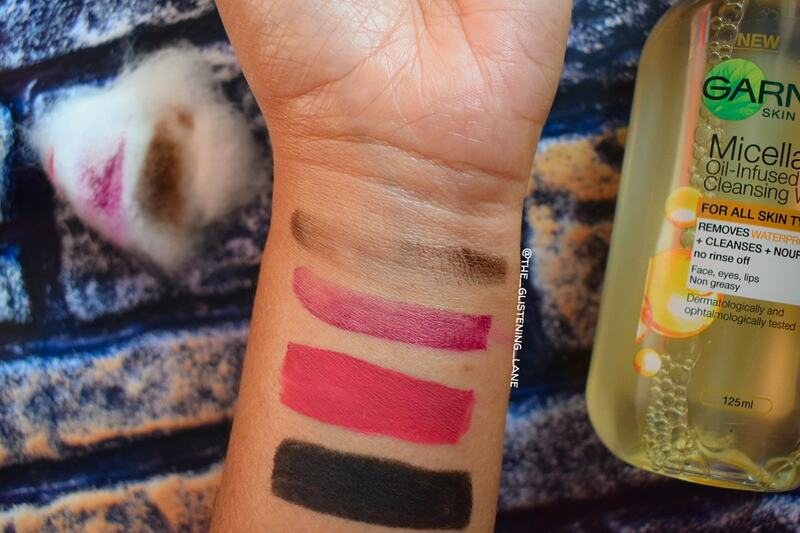 The waterproof mascara got removed quite easily and the lower lash kajal too surrendered in the battle. 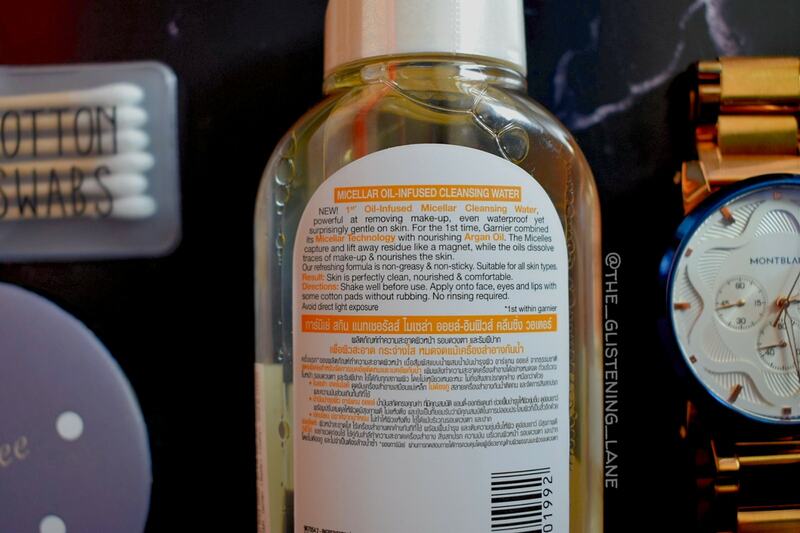 When applied onto the face, this cleansing solution immediately gives a cooling sensation which makes it equivalent to washing a face literally. No trace of makeup was left which is definitely astonishing! 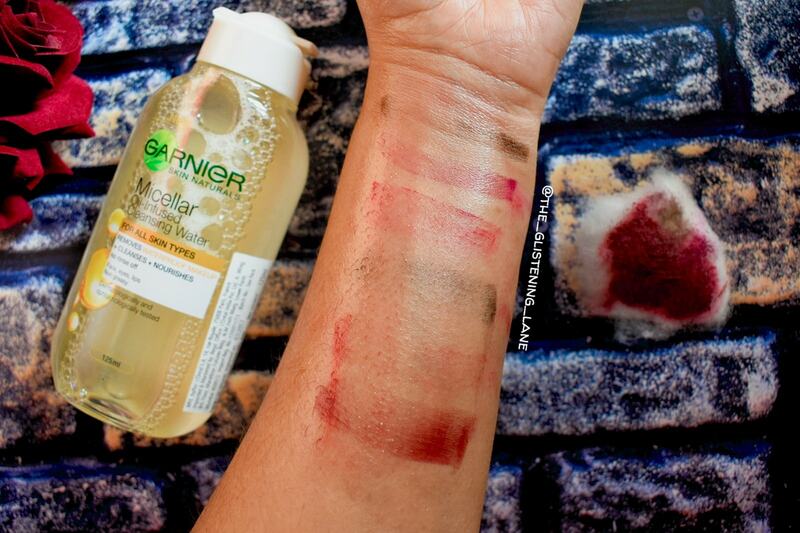 Here comes the fact whether there was any residue left behind after cleansing of makeup or not. Apparently, the oil that is floating over your bottle of micellar water is none other but Argan Oil which is trending lately like no one other’s business! Argan oil is non-sticky in nature. Once I wiped away the makeup, I saw lights being reflecting off my face. I noticed that there was a thin layer of oil left behind. But of course the oil in question has the property of being non stick and lightweight. You can completely ditch your moisturizer after using this. But because I don’t like anything on my face, I gave some water splashes and it still felt soft and smooth because of the argan oil. For winters, I’m completely okay with the residue but maybe not for summers; again that’s my personal opinion.